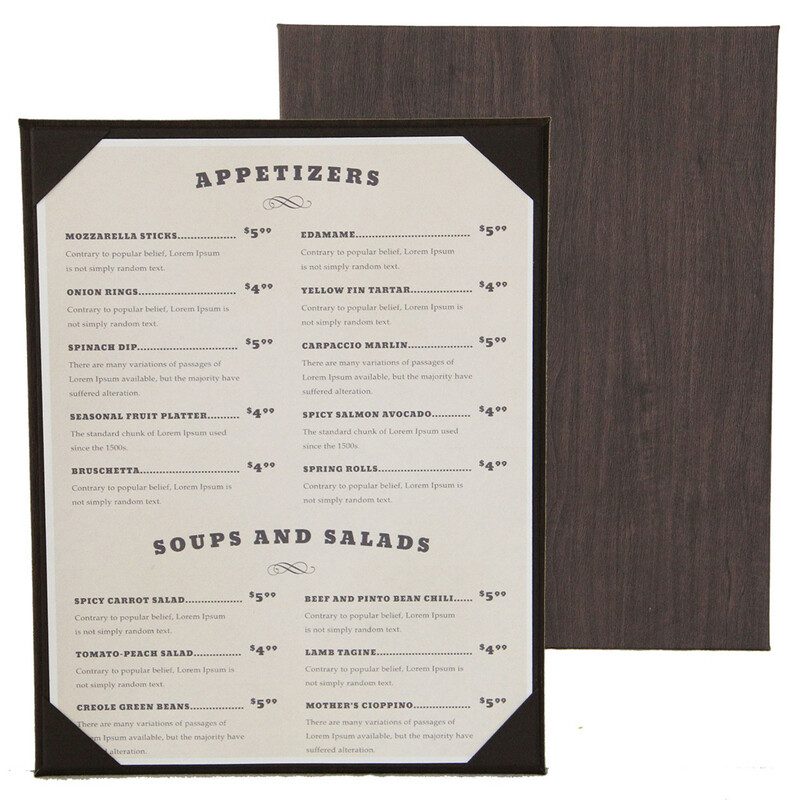 Wood Look Menu Board is made with a wipeable faux wood material in your choice of color. Choice of interior insert style and color. This item may be foil stamped in your choice of foil color, blind debossed (no foil) or burnished (similar to branding) with your logo or custom artwork. New orders require one time $99 die charge. Custom sizes and layouts are available. Call us to discuss your menu project.